Below, RambleFest lists details of Skirmett accommodation, pubs and restaurants, giving location and contact info. We have provided a map link (above), the scale of which can be adjusted after clicking. 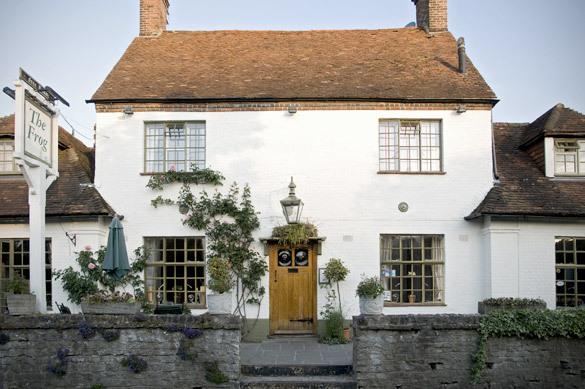 “Nestled in the heart of the Hambleden Valley in a designated ‘Area of Outstanding Natural Beauty, the Frog is centrally located in the village of Skirmett. An 18th Century coaching inn, The Frog enjoys an enviable location. We are surrounded by rolling hills, meadows and masses of wildlife. From pheasant, fallow deer and muntjac to birds of prey such as the wonderful red kite which can be seen in huge numbers circling overhead. If you have a Skirmett accommodation or other service, you can list it free on RambleFest. See our Listing Upgrade page for details.